Winner of the 2013 BSFA Award for Best Novel. A smart, fast-paced thriller. 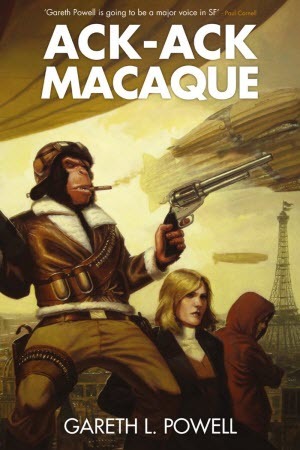 When former journalist Victoria Valois starts investigating the murder of her ex-husband, she attracts a motley assortment of unlikely allies—including a surgically upgraded monkey who drinks, smokes and curses, and can even fly a plane! Also available as a DRM-free ebook direct from the publisher at: Rebellion Publishing Store. And as an audio book from Audible.com. Cover illustration by: Jake Murray. 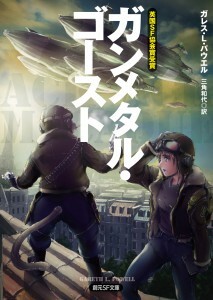 Published in Japanese by Tokyo Sogensha as Gunmetal Ghost (ガンメタル・ゴースト).